This course is for qualified occupational therapists and physiotherapists working in the field of hand therapy. It is the only distance learning MSc Hand Therapy course in the UK which offers the flexibility to study from home on a part time basis. This course is for qualified occupational therapists and physiotherapists working in the field of hand therapy. Building on the competence you’ve already gained in your own professional practice, this course will enable you to continue learning, evaluating, maintaining and developing services for current and future hand therapy provision. You’ll develop your ability to critically evaluate and reflect on your own practice in hand therapy while reviewing the theory that is fundamental to hand therapy. The course will help you to develop your understanding of research methods and research skills so that you feel empowered to improve your clinical practice. You’ll find that the course is flexible to suit you and fit around your other commitments. You’ll be fully supported by our knowledgeable academic team, who will help you with your studies by email, phone, online or face to face tutorials. You’ll have the option of attending additional study days on campus to meet with tutors, network with peers and advance your study skills. Although this is a distance learning course, the optional Hand Therapy in Practice module involves a practical week on campus in Derby. As well as developing your skills, it will also give you the opportunity to meet your peers and share knowledge and best practice. You can choose to study an individual module as a standalone course as part of your continuing professional development, so you only need to study areas that are relevant to you if you’d rather not commit to the full course. If you successfully complete specific modules, you’ll be eligible to apply to the British Association of Hand Therapists (BAHT) for accreditation as a BAHT accredited hand therapist provided you have completed the required clinical hours or as an Associate Member accredited hand therapist, if you have completed the clinical hours required by BAHT outside the UK. This course is made up of three stages – Postgraduate Certificate, Postgraduate Diploma and MSc. You can also choose to study individual modules as part of your professional development. Please note that some modules may only run once a year. In most of the modules you will be assessed by a 4000 word assignment. 'Hand Therapy in Practice' is assessed by a 2000 word assignment and an oral assessment of which you will need to pass both elements. The 'Independent Study' module gives you the opportunity to undertake some in depth hand therapy research in an area relevant to your practice. Your assignment will be 15,000 words, or alternatively you can carry out a systematic review of literature again in an area of hand therapy relevant to your hand therapy practice, of 20,000 words. You also have the option to carry out an action-based study or a project. *Please note that international students can study this course via distance learning only. **Please note that at postgraduate level, you’ll need to gain the following number of credits in total to obtain the awards below. This means you will gain 180 credits in total to complete the full MA or MSc. If you’re studying full-time you will normally complete 180 credits over one year. If you are studying part time you will normally complete your studies over two or three years, depending on the course structure. To remain registered with the Health and Care Professions Council, it's now essential that all health professionals can show they're committed to life-long learning and continued professional development. Taking this course is a great way of showing this. To get a post in the NHS as a Clinical Specialist, Extended Scope Practitioner or Consultant Therapist, you'll often need to have, studied at Masters Level. So this course should help you develop your career. After completing the PG Diploma or Masters stage of the course you could apply for a place on the Doctor of Health and Social Care Practice which will enable you to develop as a clinical and professional leader in your workplace. 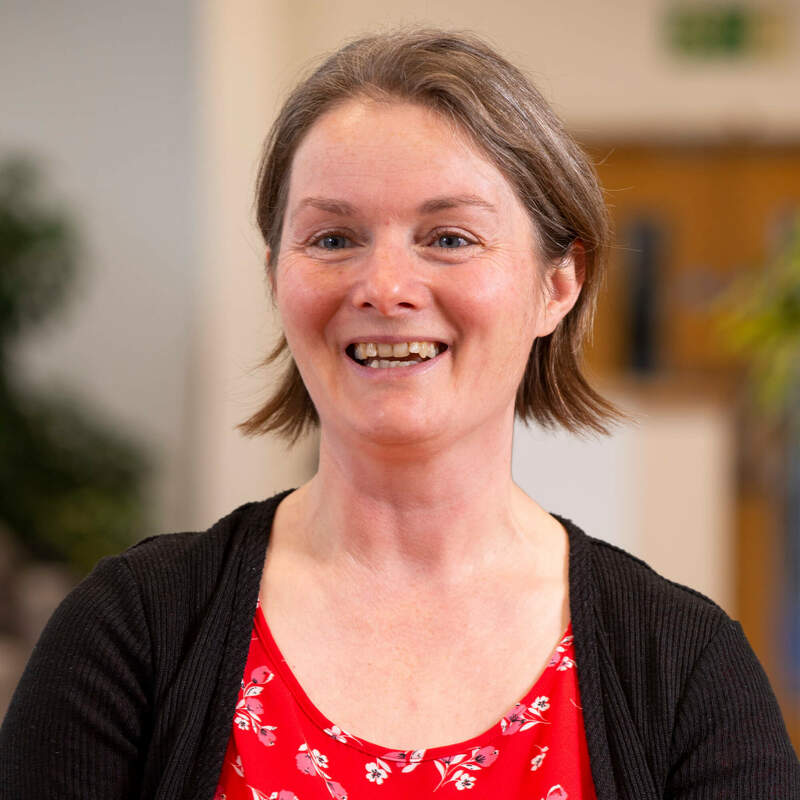 As an Occupational Therapist and programme leader for the post registration MSc Advanced Occupational Therapy, Alison's interests lie in promoting career development opportunities for Occupational Therapists.